California is currently in the grip of an extreme housing affordability crisis. This fall, California voters have the chance to pass Proposition 10 and repeal the Costa-Hawkins Rental Housing Act, which would return to local communities the ability to expand rent control and limit skyrocketing rents. 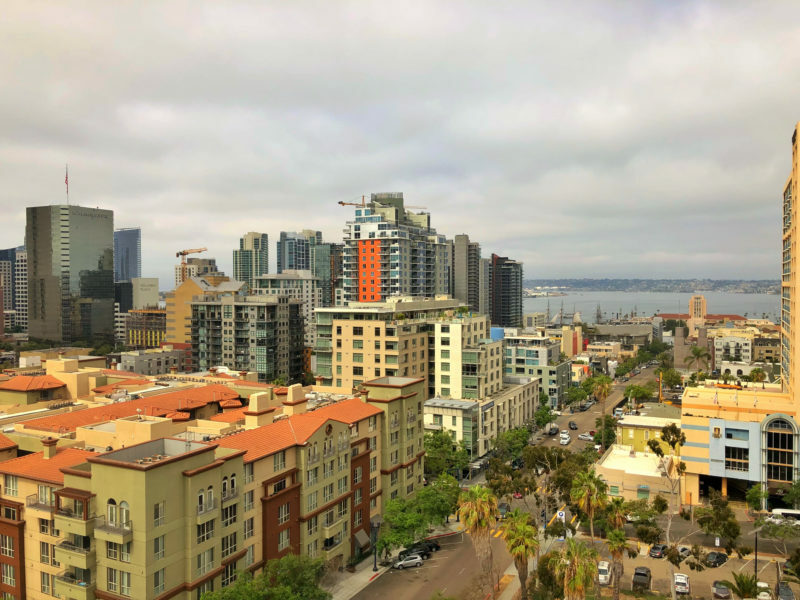 In National City, residents will get to vote on a measure in November to control arbitrary rent increases by limiting them to no more than a 5 percent increase per year, coupled with just cause to prevent unjustified evictions. Repealing Costa-Hawkins and placing reasonable limits on how much landlords can increase rents each year is an easy, fair and necessary way to help tackle the current affordable housing crisis. Many families are one missed payment away from eviction. Many of these families have young children who will experience negative social and psychological repercussions as a result of being displaced. Tenants with children are three times more likely to be evicted than those who do not have children. Repealing Costa-Hawkins and passing Measure W in National City will help vulnerable young Californians and their families by bringing stability to their lives at home. A recent study conducted by the University of California, Los Angeles shows that rising rents are a financial burden to more than three-quarters of low-income California seniors. It is damaging and unconscionable that seniors are being evicted from their homes due to rent increases they are unable to pay and medical bills they can no longer afford because of the rising cost of housing. These rent increases are frequently driven by real estate speculators who are now financing the opposition to Prop. 10. When Costa-Hawkins was signed into law in 1995 by Gov. Pete Wilson, its real-estate lobby supporters claimed it would lead to more affordable homes because builders would be incentivized to build more housing and the price of renting would fall. Fast-forward to 2018, and that clearly has not happened. According to the most recent Statewide Housing Assessment, California needs “approximately 1.8 million additional homes by 2025 to maintain pace with projected household growth.” We’re simply not building the housing we need right now. It is clear that as a housing policy, Costa-Hawkins has failed. While Californians wait for more housing to be built, thousands continue to be evicted because they are unable to pay skyrocketing rents. For every 5 percent increase in rent in Los Angeles, 2,000 people go homeless, according to the Los Angeles Times. In National City, rent stabilization will encourage new development. Without unreasonable rent increases pushing long-time residents out of their homes, developers will be incentivized to build housing for the high-income new residents moving into the city. Multiple studies show that construction rates in rent-controlled cities are the same or greater than they are in cities without rent control. The three largest Bay Area cities with rent control (San Francisco, San Jose and Oakland) have only 27 percent of the housing in the region, but according to the U.S. Census Bureau, since the year 2000, they’ve built 43 percent of the new multifamily rental units in buildings with five or more units. Prop. 10 gives local governments the ability to create and expand solutions in place to keep people in their homes. Whether local communities choose to increase rent control protections should be determined by the extent of their local housing crises, but they should have the option to make policies that are best-suited to their residents. National City residents need to be able to take immediate action to keep families in their homes. The National City Rent Control and Community Stabilization Ordinance will do exactly that. The passage of Prop. 10 would mean more families would benefit from the protections of rent stabilization living in single-family homes and condos. The “one size fits all” approach taken with Costa-Hawkins has not worked for California. Corporate landlords fought hard to lobby Costa-Hawkins into law and they have profited immensely off of the housing affordability crisis Costa-Hawkins has created. Now they’re fighting hard to make sure it continues to be the law so they can continue to reap incredible profits from the skyrocketing rents they continue to set. Giving power back to California’s cities to implement their own housing policies, like National City plans to do this November, is a common-sense move that will benefit all Californians. Paola Martinez-Montes is the San Diego director of Alliance of Californians for Community Empowerment.